Following the constant demonization of the president by the mainstream media, Rabbi Jeffrey Myers of the Tree of Life synagogue said when he met Trump, he was "pleasantly surprised by a warm and personal side" that "America has never seen." 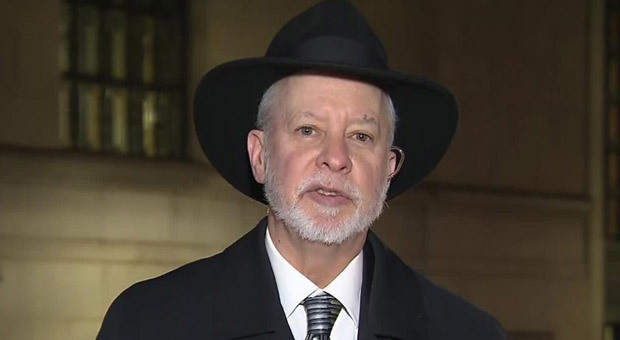 Speaking to CNN on Thursday, Rabbi Myers discussed the president’s visit in the wake of the horrific shooting attack that claimed the lives of 11 people last weekend. Despite the shooter being found to be a Trump-hating terrorist, the liberal media has attempted to politicize the attack by suggesting that the president is to blame for the anti-Semitic shooting. Since revealing that he would welcome President Donald Trump to his synagogue in the wake of the tragic mass shooting, Rabbi Jeffrey Myers was forced to confront a deluge of hate in response. Myers is the rabbi for Pittsburgh Tree of Life, where Robert Bowers is accused of slaying almost a dozen people. “I heard him execute my congregants,” he said. According to Breitbart, despite the hellish tragedy, neither Myers nor any other Jewish leadership tried to forbid Trump from visiting Pittsburgh. The demand had actually come from “Bend the Arc,” a left-wing organization committed to electing Democrats — and founded in part by Alexander Soros, the son of left-wing billionaire mega-donor George Soros. “Hate is not blue, hate is not red, hate is not purple… hate is in all,” he continued. “Speak words of love, speak words of decency and of respect. Pittsburgh’s Democratic mayor William Peduto disagrees. “If the president is looking to come to Pittsburgh, I would ask that he not do so while we are burying the dead,” he said. Robert Bowers faces a litany of charges, for which Federal prosecutors are expected to seek the death penalty. Those charges include 11 counts of criminal homicide, six counts of aggravated assault, 13 counts of ethnic intimidation, as well as firearm and hate crime offenses.